At S&L Roofing, we believe that preventative inspection and maintenance services are the best method of avoiding the need for major roof repairs and complete roof replacement. Our mission as a roof repair company is to keep our clients' roofs looking and functioning optimally for as long as possible. We offer affordable, comprehensive home roof inspections, during which we carefully assess the roof's condition, to determine if any maintenance or repair services are needed. Then, we offer a free estimate on these services, and include the fee for our affordable roof inspection service in the price of our roof maintenance and repair service. The performance of a thorough roof inspection is the only means of accurately evaluating the current state of health of residential roofing systems, and of determining which maintenance and repair services are needed, if any, to ensure proper roof function over the long term. At S&L Roofing, during our thorough roof inspections, we check for missing or cracked shingles or shakes; damaged mortar and tile slippage on tile roofs; and blistering or exposed paper on cap sheet or gravel flat roofs. In general, we concentrate our inspection efforts on typical roof problem areas, such as those near skylights, solo tubes, plumbing vents, kitchen exhaust vents, b-vents from water heaters and furnaces, chimneys, air vents, roof transitions such as parapet wall transitions and roof to wall transitions, roof drains, roof scuppers, crickets, and valleys. During our inspection, we assess the integrity of the roof's ridge cap, and evaluate the condition of the roof's sheathing and paper underlayment. 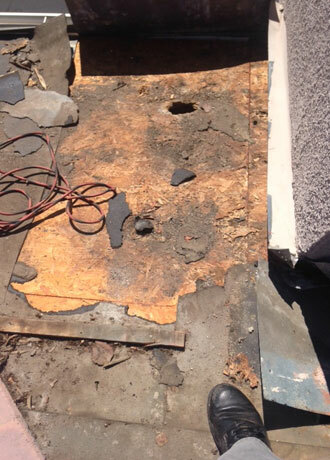 We determine if there is any termite or dry rot damage, and look for excessive debris buildup. And only then, after completing this in-depth inspection procedure, do we determine if roof maintenance or repair services are necessary. Call us today, and depend upon the roofing inspection, maintenance, and repair specialists at S&L Roofing to keep your home's roof in the best condition possible, at very competitive rates. 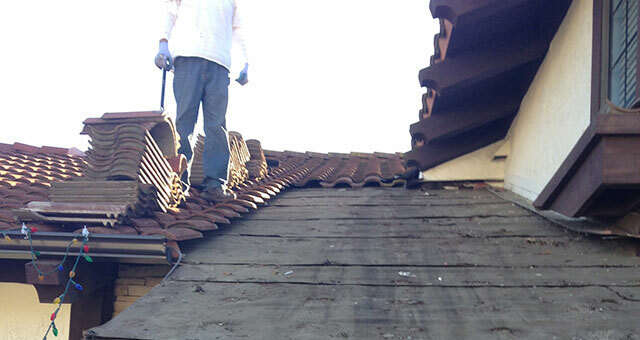 We provide our affordable roof inspections to all of South Orange County, and offer free onsite maintenance and repair estimates throughout our service area. Check for missing or loose shakes or shingles; cracked tiles, tile slippage, damage to tile mortar; damage to metal roof tiles or panels; blistering or exposed paper on flat roof systems. Analyze and pinpoint the source(s) of any roof leakage; evaluate the roof for areas of weakness where new leaks could form. Assess the condition of the roof's flashing around roof penetrations, roof to wall transitions, roof to parapet transitions, and in roof valleys and crickets. Check for excessive debris buildup on roof surfaces; in roof valleys and crickets; and in roof drains and rain gutters.. Provide free estimates on necessary roof repairs. Recommend affordable routine maintenance services, such as regularly scheduled roof and rain gutter cleaning, and seasonal Roof Tune-Ups - to ensure proper roof functionality.